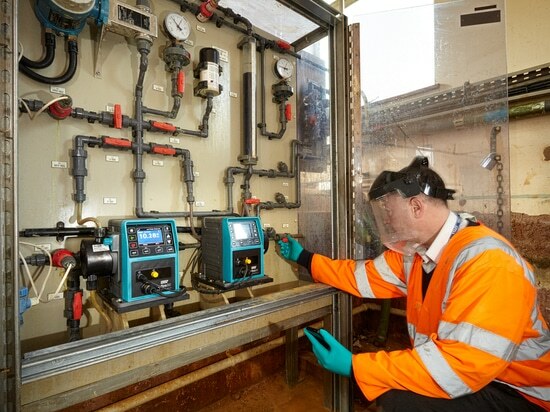 To help overcome the repeated blockage of diaphragm pumps when dosing ferric sulphate at wastewater treatment plants, a number of Welsh Water sites now feature Qdos 30 peristaltic pumps from Watson-Marlow Fluid Technology Group (WMFTG). 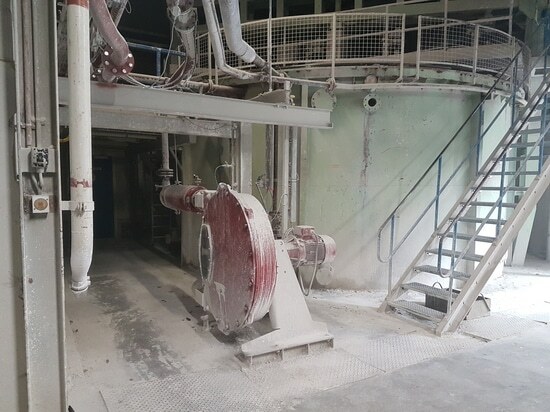 The investment is expected to achieve a quick return thanks to significant savings in maintenance associated with stripping down and cleaning the diaphragm pumps. 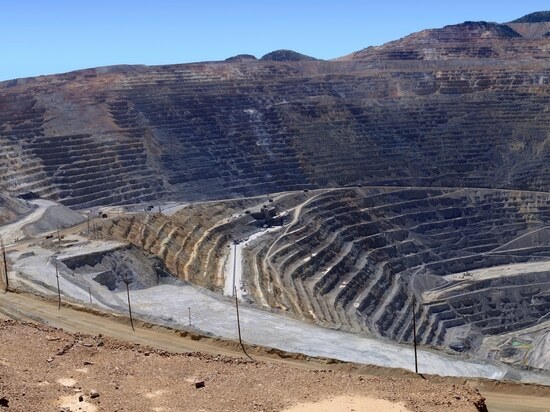 Moreover, the Qdos pumps are helping Welsh Water meet increasingly strict phosphorus limits. With ever-tightening Water Framework Directive (WFD) standards, phosphorus limits are under close scrutiny. WFD Directive 2000/60/EC demands that rivers, lakes, coastal waters and groundwater be in a "good ecological and chemical condition" by 2027. Excessive nutrients such as phosphorus in the watercourse work against this aim as they lead to excessive algal growth and eutrophication (a form of water pollution). To reduce the ingress of phosphorus through municipal wastewater treatment plants, chemical coagulation is required. The addition of a coagulant such as ferric sulphate converts the phosphate solution into insoluble phosphate compounds which can then be isolated. The continuous dosing of ferric sulphate at water treatment works requires the application of reliable, high performance pumps. For Welsh Water, the traditional pump type of choice has been based on diaphragm technology. However, this has had its issues. Having witnessed the benefits of peristaltic pump technology first hand when a Qdos model was recently installed at Welsh Water’s Eign plant in Hereford for the back-end dosing of polyaluminium chloride at 12 l/h, the company thought this might also be a good solution for front-end ferric sulphate dosing. Initially, Welsh Water opted to install a Qdos 120 pump for dosing ferric sulphate at its Rotherwas wastewater treatment plant in Hereford. Here, the pump has been set to work operating at a flow rate of 50-60 l/h. However, Qdos pumps are reliable at flows as low as 0.1 l/min. 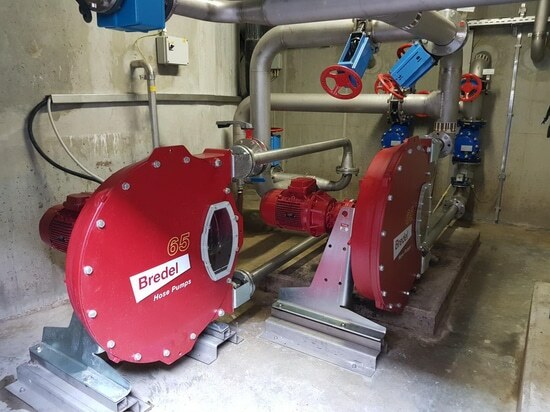 Such was the success of the Qdos pump, that two more have since been duly installed at Welsh Water’s Ross-on-Wye wastewater treatment plant – one as the duty pump and one on standby. These pumps run at a much lower flow rate of 8 l/h. Designed as a drop-in replacement to diaphragm pumps, Qdos peristaltic metering pumps offer long maintenance intervals, reducing the impact of process downtime and lowering total cost of ownership. They also cut chemical cost through higher accuracy (±1%) metering. In short, peristaltic pumps enable tighter WFD targets for phosphate levels. The Environment Agency takes samples from Welsh Water plants such as Rotherwas and Ross-on-Wye 12 times a year, checking for phosphorus, iron, ammonia, solids and more. An added advantage is that Qdos pumps offer reduced maintenance with single, no-tools component replacement. 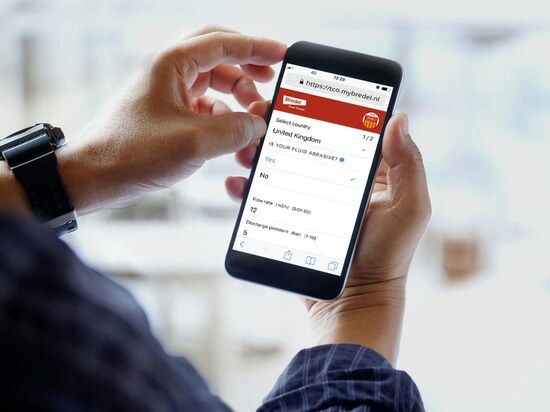 For Welsh Water, maintenance time with the Qdos pumps is now just a few minutes – whereas clearing a blockage from a diaphragm pump would take more than an hour, and would be required far more frequently. Qdos peristaltic pumps are designed for dosing with all types of coagulant, regardless of their viscosity, basicity, concentration and flow rate. As only the hose comes into contact with the medium, even highly corrosive and abrasive pumped media presents no problems; the pump cannot contaminate the pumped media, or vice versa. Ultimately, with no valves or seals to wear out, clog or corrode, peristaltic pumps reduce the burden of maintenance. WMFTG can now confirm that Welsh Water has just purchased 15 further Qdos pumps for installation at its Rotherwas, Eign, Ross-on-Wye, Kington and Leominster wastewater treatment plants.